Motherwell are interested in signing Hearts midfielder Ross Callachan, according to the Scottish Sun. The 24-year-old, signed in last summer’s transfer window from Raith Rovers, has been pushed down the pecking order at Tynecastle after a raft of recent recruits. 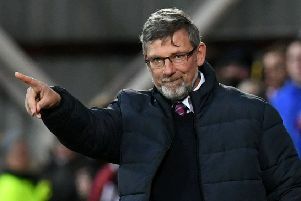 He’s yet to feature this season under manager Craig Levein and has been told he’s surplus to requirements. Motherwell are keen on adding the midfielder to their midfield corps, though they are yet to decide whether to make Hearts an offer. It is understood the Gorgie Road side are looking to recoup the five-figure transfer fee they paid out for the player 12 months ago.